You now have the possibility to adjust the user roles in more detail and thanks to the new layout much more clearly. Within a project you can now adjust for every module if the user has the rights to access it or not. Additionally you can determine if the specific user can change or delete things. As you can see above more detailied adjustments for different categories are now possible as well. In the user role settings you can now also specify, who of the powerusers can access the adminpanel. In the user roles you can now find a new role called: "Client". 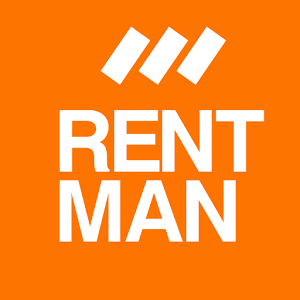 You can provide this role to your customers so they can log into Rentman themselves to submit inquiries about projects. If a client logs into Rentman with this user role he/she is only able to see the project module. In the module the client can then create his/her desired project and submit it as an inquiry. This role is a poweruser, which means you are in need of an additional poweruser license to use this feature. The crew module now offers the possibility to add multiple rates per employee. Therefore you can now pay an employee, who has different functions, different rates. If you are planning this crew member in a project you have the ability to select according to which rate he/she will be paid. This gives you the possibility to see your crew members activities in the statistics module in more detail. You now have an overview who of your crew members worked how often and how much it cost. Under the tab configuration in the admin panel it is now possible to select who the repair manager for a piece of equipment is. As soon as a repair has been created via the app the selected crew member will ne informed by mail. Caution! If the repair is created by the repair manager himself no notification will be sent. When planning equipment within a project a new column is available. This column displays the total equipment price incl. factor.